Governor Andrew M. Cuomo today announced the adoption of new regulations that will help protect New York State’s waters from the spread of aquatic invasive species. Statewide regulations require boaters to take 'reasonable precaution' against spread of aquatic invasive species through recreational boating. Albany, NY - May 26, 2016 - Governor Andrew M. Cuomo today announced the adoption of new regulations that will help protect New York State’s waters from the spread of aquatic invasive species and preserve local ecosystems. Signed into law by Governor Cuomo in September 2014, the regulations prohibit the launch of watercraft prior to taking ‘reasonable precautions,’ including the removal of visible plant or animal matter, proper material disposal in a receptacle or upland location, and treatment by operators launching watercraft or floating docks into public waters. With over 7,600 freshwater lakes, ponds and reservoirs and 70,000 miles of rivers, brooks and streams, New York State is particularly vulnerable to the introduction of invasive species. 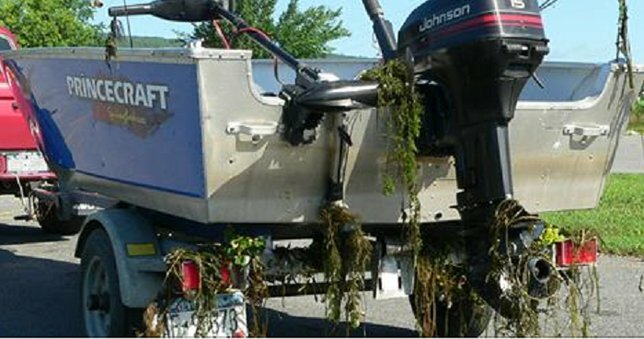 Once established, aquatic invasive species, such as spiny waterflea and Eurasian water milfoil, can rapidly spread through connecting waterbodies or by “hitchhiking” on the vessels of recreational boaters and anglers. These regulations are an important step in Governor Cuomo’s initiative to preserve New York’s vast waterways from the danger aquatic invasive species can cause to the environment, human health and the economy of a region. A 45-day public comment period was held from December 16, 2015 to February 1, 2016 on the proposed regulations. The new, final regulations and supporting information may be viewed by visiting the following link. To learn more about aquatic invasive species and the threat they pose to New York State, please visit the following link. Subject: LongIsland.com - Your Name sent you Article details of "Governor Cuomo Announces Adoption of Regulations to Protect New York's Waterways and Natural Habitats from Invasive Species"